As I'm writing this post, I'm wondering to myself whether or not anyone will actually read it. 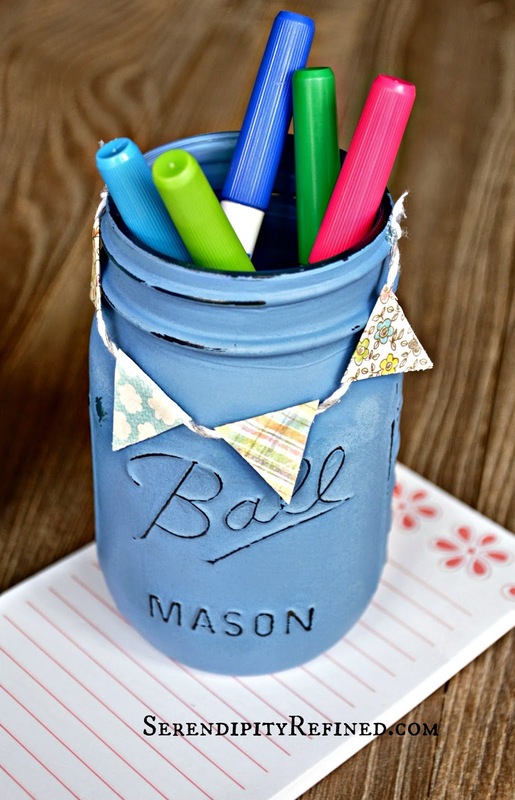 After all, there have been hundreds of posts about painted Mason Ball jars over the last couple of years. Chalk paint, milk paint, spray paint. 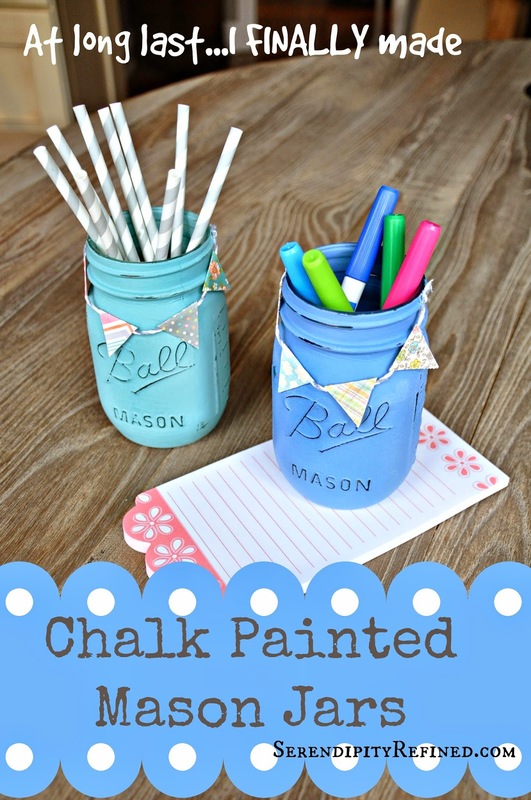 Yes, I realize that pretty much everyone has already painted mason jars and used them for parties...and pencil holders but you know me, I don't like to rush into things. 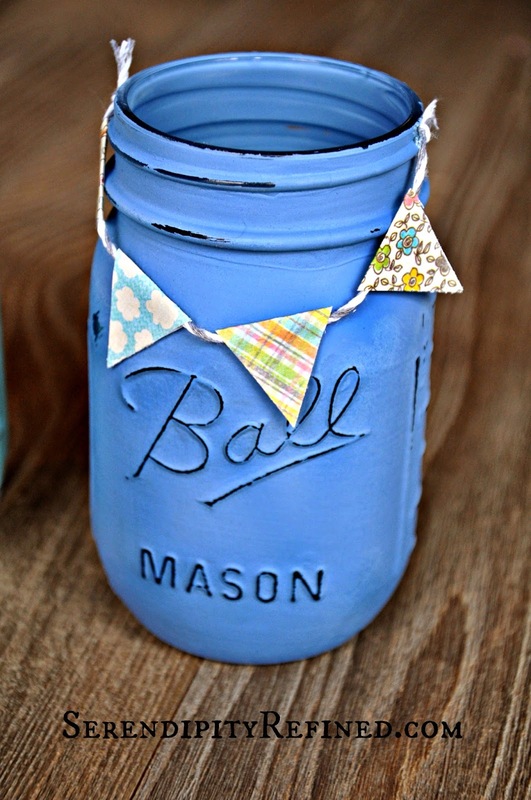 I painted these mason jars last week using Provence and French Blue chalk paint. Two coats on the outside of each one. Then, when it was dry, I lightly sanded the raised areas to make them show up better then sprayed them with matte sealer. I added paper flag banners that I made using bakers twine and scrapbook paper. I'd like to take the credit for the idea...but alas, it too has been done (Most recently by my dear friend, Jen at Jen's Fresh Vintage). When I saw them a few weeks ago in her booth, I knew that I had to have one...or two. 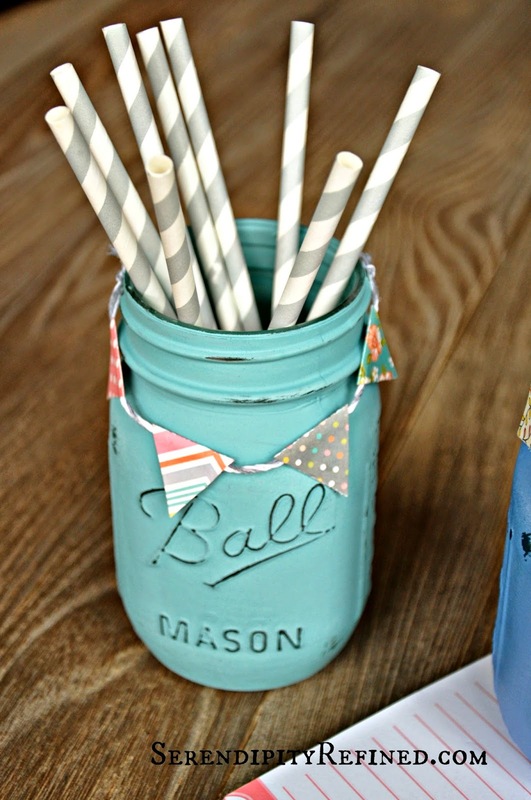 Fortunately, I had Mason Ball jars, chalk paint, scrapbook paper and baker's twine on hand so making them was easy. I'm proud to say that I made them while they still look adorable with pens in them in my kitchen. 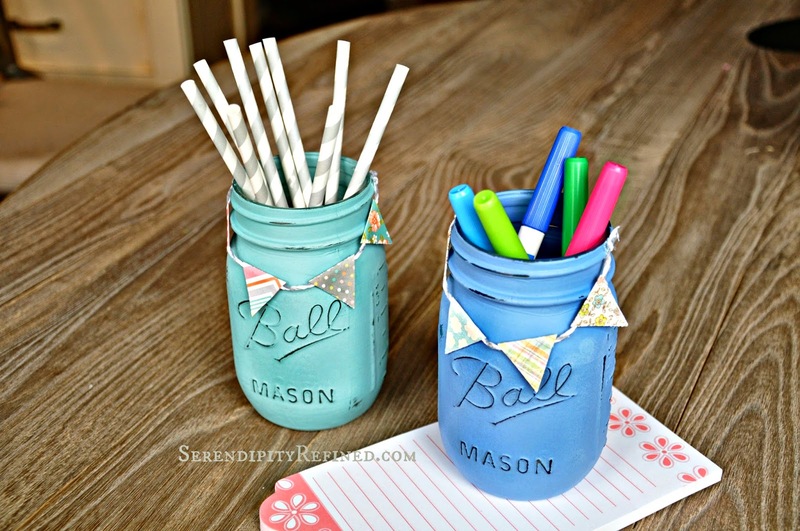 Yes, I realize that there are some people out there who have had chalk painted mason jars holding straws and silverware at their parties and pens in their kitchens for over two years but I'm not phased. These are also people who probably have smart phones and cable television and who drive a car that's less than 17 years old. Me? I drive a 1997 Camry and I just got a phone with a QWERTY keyboard. Before you ask, No, I don't have any apps. As for cable TV? Also, probably not gonna happen. At least not for awhile. Right now, my television is in the foyer, sitting on the milk painted Ikea step stool that I made a few weeks ago. Trust me, it's fine. I watch it sitting on the ottoman...with the dog. But hey, I've got painted Mason Ball Jars with flag banners. Now that I'm caught up to 2012, who knows what I might make next!